Yoga and climbing are similar, in that they give us a strong mind-body connection. They both remind us to breathe and to live in the present moment. To keep not just the body but the mind flexible. Join Stacia on the mat or on the wall on Sundays. An hour Yoga class focused on dynamic movement and preventative injury starts at 10:00 am. Bring your own mat. We recommend reserving your spot in advance online. Interested in Rock climbing after Yoga? Well here’s a deal for you: for just $30 you get an hour of Yoga, a climbing day pass, and rental shoes. Stacia Nero has been teaching in the Philadelphia area for the past decade. She believes in truth and authenticity however it comes. As a child fascinated by human connection she grew to see body-work such as massage and yoga as a means to be of service to others. Throughout her youth, Stacia was a multi-sport athlete and dancer. During her junior year when playing high school soccer, she suffered an ACL tear that ended her athletic career. She discovered yoga while rehabilitating from injury. During these first steps into her practice, she also learned the power of holistic movement and the power of breath. She strives to curate unique classes that leave her students feeling stronger, more confident, and with tools to take better safe care. So many things these days pull us out of alignment whether it’s our phones, the news, our jobs, toxic people, our injuries. Her classes aid to re-align you. Do you want to climb after your yoga session? 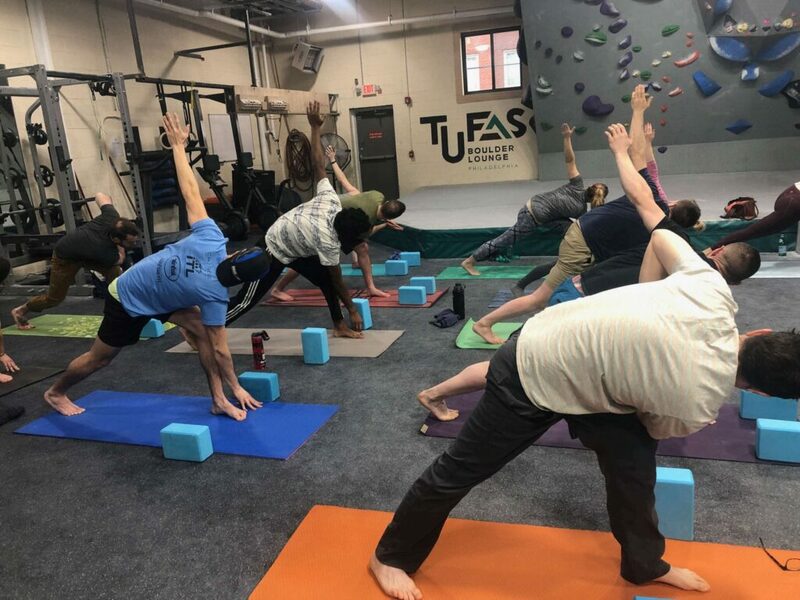 then buy our Yoga and Climbing package at checkout which includes the yoga session, climbing day pass, and shoe rental.